Is your little Superhero having a birthday soon? 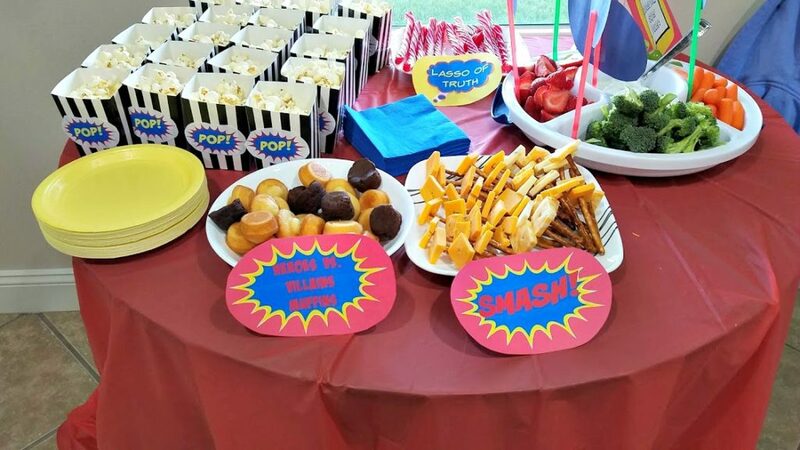 Believe it or not, having a Superhero party is extremely easy! 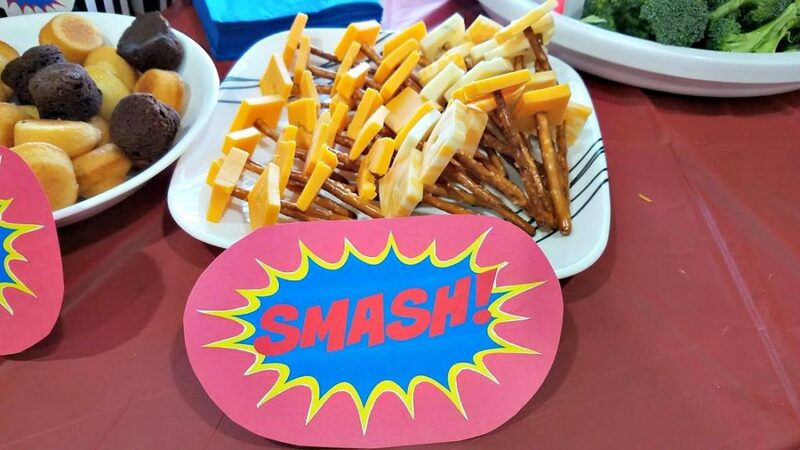 You could have an Avengers party, a DC party, a generic superhero party… the possibilities are endless. 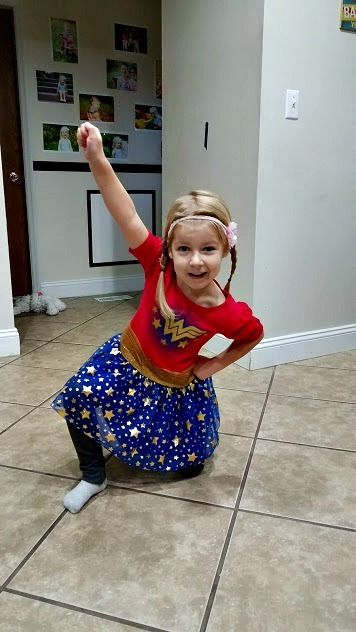 Allison’s kind of a girly girl, so she went with the new DC Superhero Girls (Which is amazing, by the way). Once we nailed the theme down, I began to plan! I really noticed a theme as I was putting up the decorations. Allison’s Snow White birthday party was red, blue, and yellow. Her Paw Patrol birthday party was red, blue, and yellow. 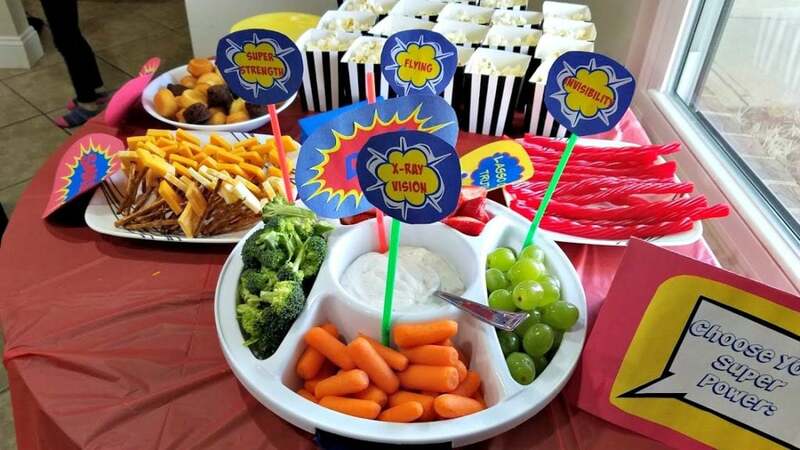 And her superhero party… you guessed it. What is it about those 3 colors that just go so well with everything? 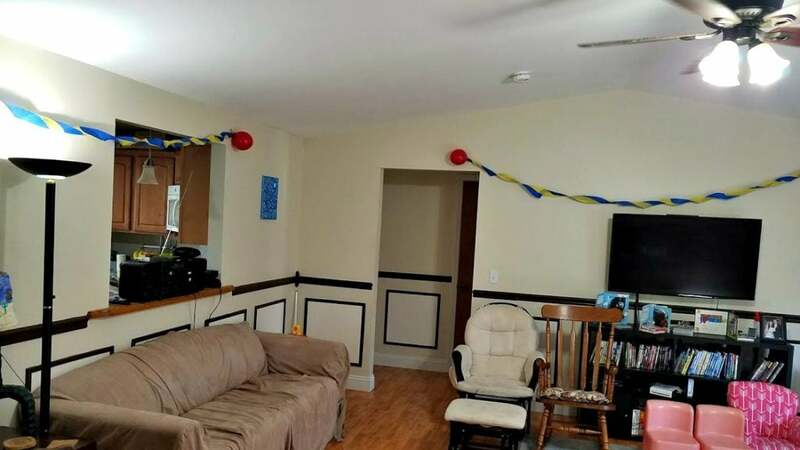 Decorating doesn’t have to be expensive! I’d rather spend that money on food. My favorite part of the decorations was the wall hanging. Awesome job, Dollar Tree, for having something amazing to play with! There were like ten signs or masks you could hold up to get your picture taken. As you can see, we had a little too much fun. Coming up with food ideas is my favorite part of planning parties. And since this was superhero themed, I could go so many routes with this. However, this was based on the DC Superhero Girls, namely Wonder Woman, so that narrowed things down a bit. 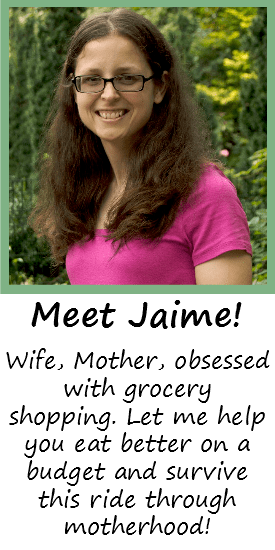 Once I found what I wanted, I created little superhero signs to go with it. I credit Pinterest for a lot of these ideas, but I made the actual signs you see here. You’ll be able to download them for yourself at the bottom of the post! POP! 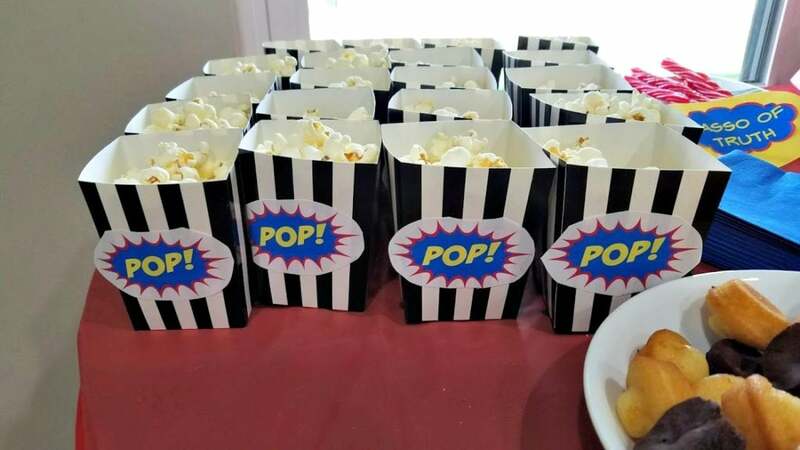 Popcorn: I bought the favor boxes at Hobby Lobby and glued a “POP!” tag on each of them. Then I filled them with SmartFood White Cheddar Popcorn, because there is no better popcorn. 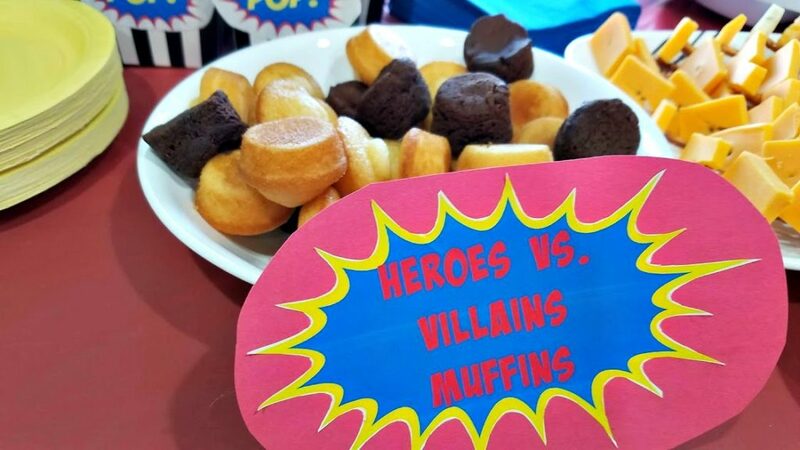 Heroes vs. Villains muffins: So I have a confession- I used a bunch of leftover food for this. I had a couple packages of those mini brownies in the cupboard, and I was just suckered into buying vanilla muffins from Entenmann’s Outlet a few days prior. So I combined them in an effort to get rid of them, and it worked. 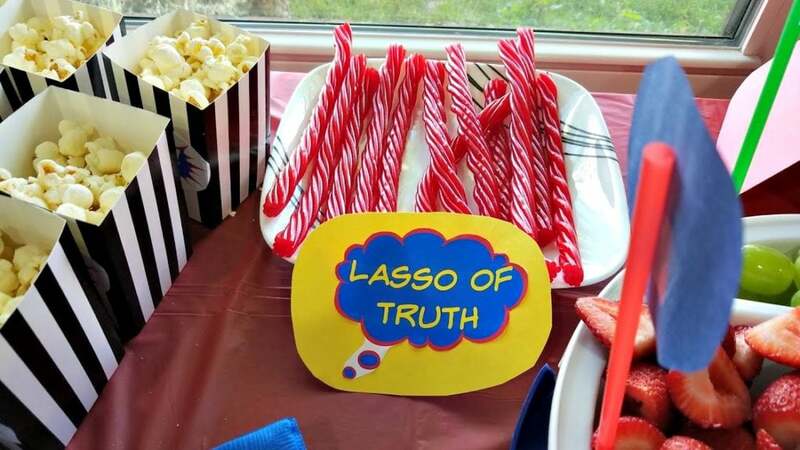 Lassos of Truth: This was simply the Twizzlers pull-aparts, which was one of the biggest hits. I think the entire package was gone before the party ended. Harley’s Hammers: In an attempt to find something else that wasn’t full of sugar, I came up with these “SMASH!” hammers. Pretzel sticks stuck into cut-up blocks of cheese. Note to self for next time- Only buy one block of cheese instead of 3. 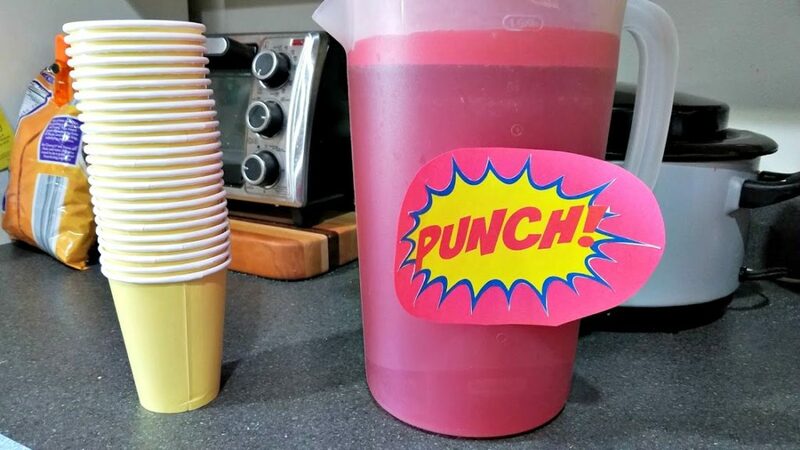 Fruit Punch: This was just Crystal Light Fruit Punch, but you could also buy a huge container of Hawaiian Punch. One of these days I’ll actually bake Allison’s cake; but Sam’s Club makes such good cakes I can’t stop buying them. Plus it saves me a bunch of time and effort. So the total cost of the food and supplies, not including the cake, was less than $50. And we had a ton of food left over, so we were able to supplement that in some of our meals for the next couple days. 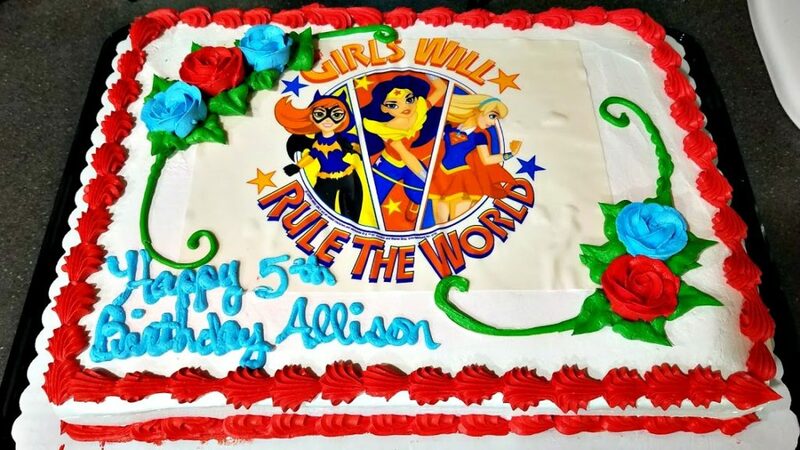 All said and done, Allison had an absolute blast at her party. She was super excited about EVERYTHING (“I LOVE SOOOOOOOCKS!”) and probably ate more sugar than is humanly possible. But that’s the point of your birthday, right? 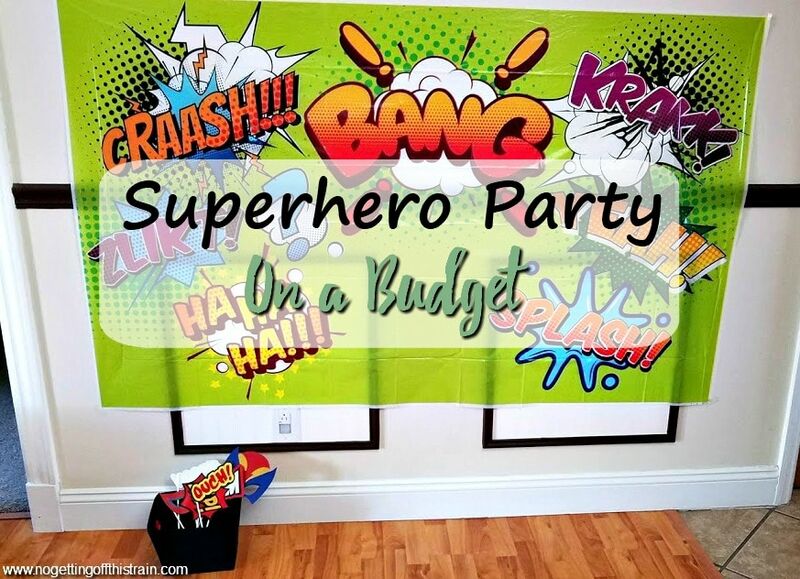 Want to join in the fun with your own Superhero party decorations? 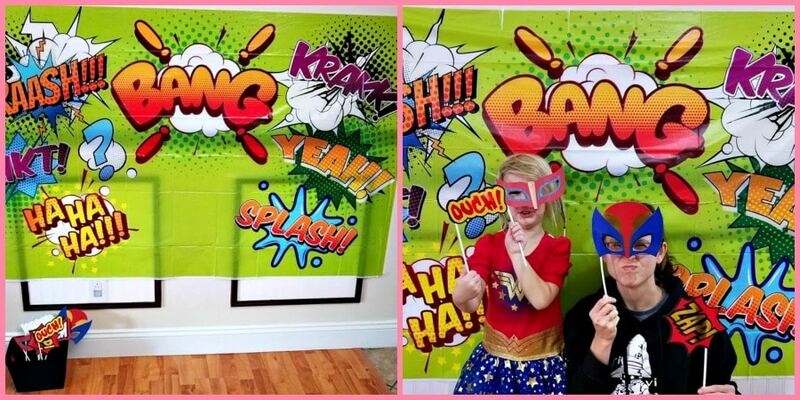 Click the link below to download your FREE Superhero Signs PDF! 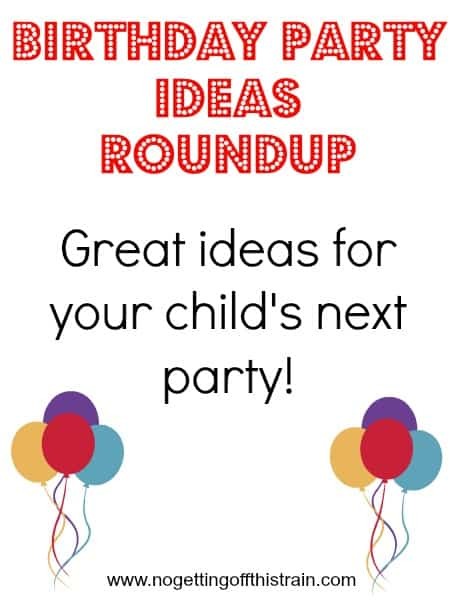 Snow White Birthday Party on a Budget + FREE PRINTABLE! Wow! Great party : ) Happy Birthday Allison!